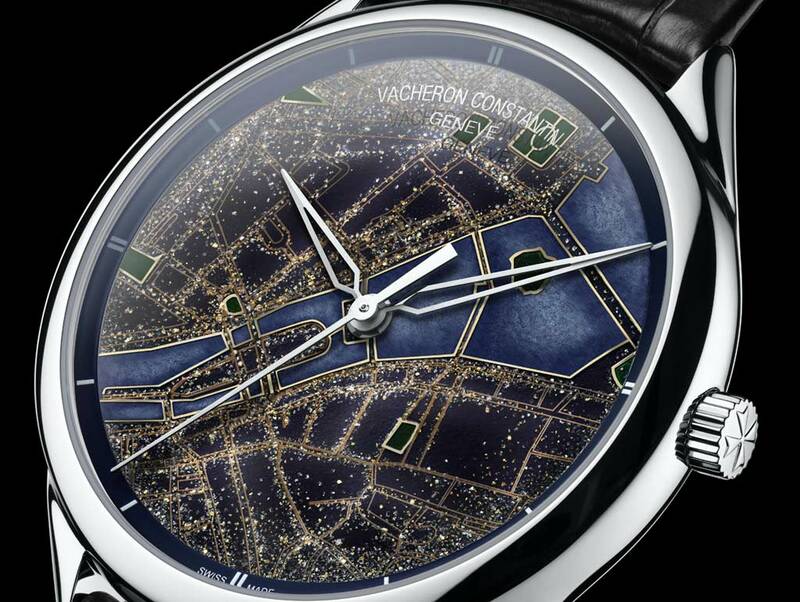 With the new Métiers d’Art Villes Lumières collection, Vacheron Constantin explores a new and expressive territory for artistic crafts by depicting major cities – notably renowned for their artistic influence – through their nocturnal panorama. The new timepieces are the result of the encounter between two exceptional arts: Grand Feu champlevé enamelling, a skill passed on for almost three centuries by the Vacheron Constantin artisans; and hand-applied precious powder, a technique mastered by Japanese guest artist Yoko Imai. 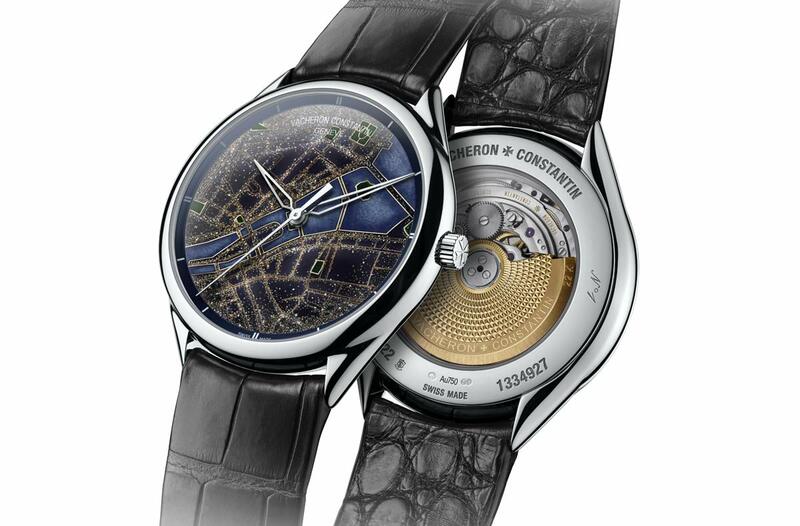 For each of the dials, the Vacheron Constantin master enameller first used the champlevé technique in order to highlight the shapes of the streets, gardens and stretches of water. After hollowing out the gold dial by hand according to the chosen outlines, he then applied successive layers of translucent coloured enamels. Between each coating, the dial is fired at the extremely high temperature of 850°C. These crucial and delicate stages enable the powdered glass mixed with colouring oxides to be melted, transformed and then vitrified by cooling – with the inevitable risk that the dial may crack or flaws may form. By composing subtly translucent and dark shades, the master enameller was able to imitate the singular night-time atmosphere. Then, Yoko Imai composed the miniature tableaus faithfully reproducing the real ‘light cartography’ of the cities, with their various sorts of light, such as variously animated districts , famous landmarks and even traffic density. This meticulous work on the map of each city called for several weeks of research and trials on various base materials. This is the very first time that this technique has been used on a watch dial to which particles of gold, pearl, platinum and diamond powder are meticulously distilled one by one, endowing the enamel with exceptional radiance. Using a thin stylus, each fragment is perfectly positioned in its rightful place. To ensure enhanced radiance and realism, tiny gold grains form the luminous backdrop. Then diamond and platinum powder are successively applied to create shiny and dark effects, punctuated by pearl spangles. Certified by the prestigious Hallmark of Geneva, the Métiers d’Art Villes Lumières watches beat to the rhythm of a mechanical self-winding Calibre 2460 SC driving a display of the hours, minutes and seconds. 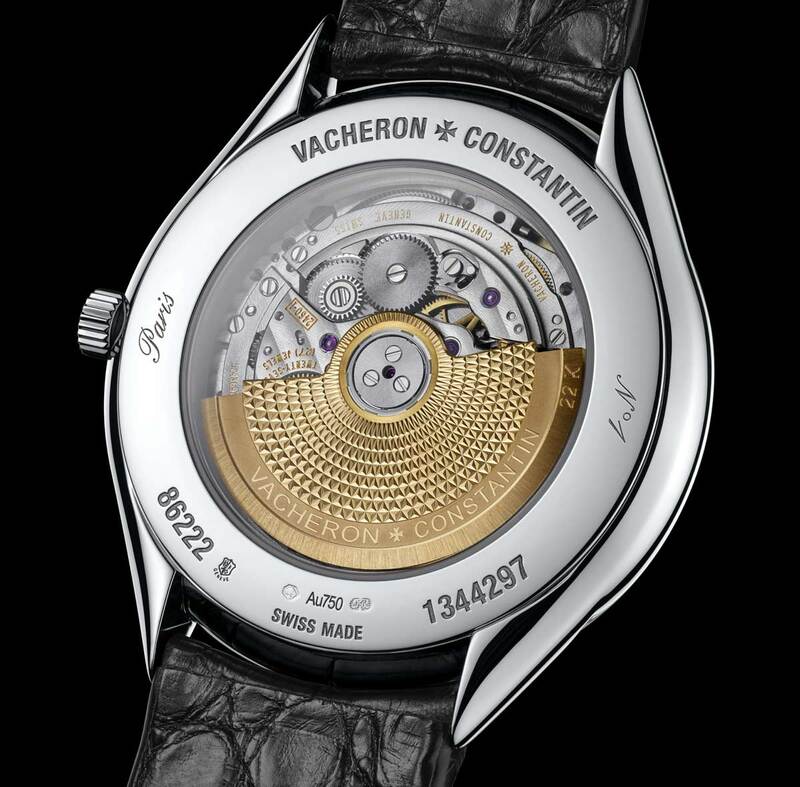 Visible through the transparent case-back, the 22K gold oscillating weight features a finely executed decoration inspired by the Maltese cross, the Vacheron Constantin signature emblem. Each of the components, whether visible or hidden, is adorned with finishes crafted in accordance with the finest watchmaking skills exemplified by bevelling, circular-graining and polishing. The movement is protected by a precious 40 mm x 8.9 mm white gold case. Vacheron Constantin Métiers d’Art Villes Lumières. With the new Métiers d’Art Villes Lumières collection, Vacheron Constantin explore a new and expressive territory for artistic crafts by depicting major cities – notably renowned for their artistic influence – through their nocturnal panorama. 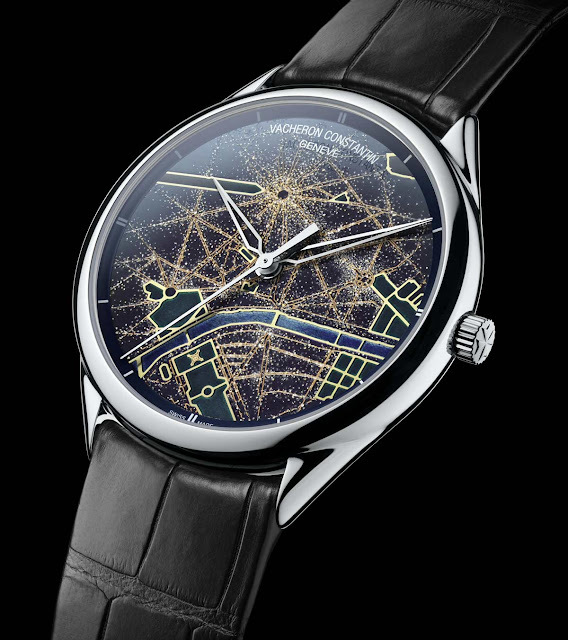 The new timepieces are the result of the encounter between two exceptional arts: Grand Feu champlevé enamelling, a skill passed on for almost three centuries by the Vacheron Constantin artisans; and hand-applied precious powder, a technique mastered by Japanese guest artist Yoko Imai. 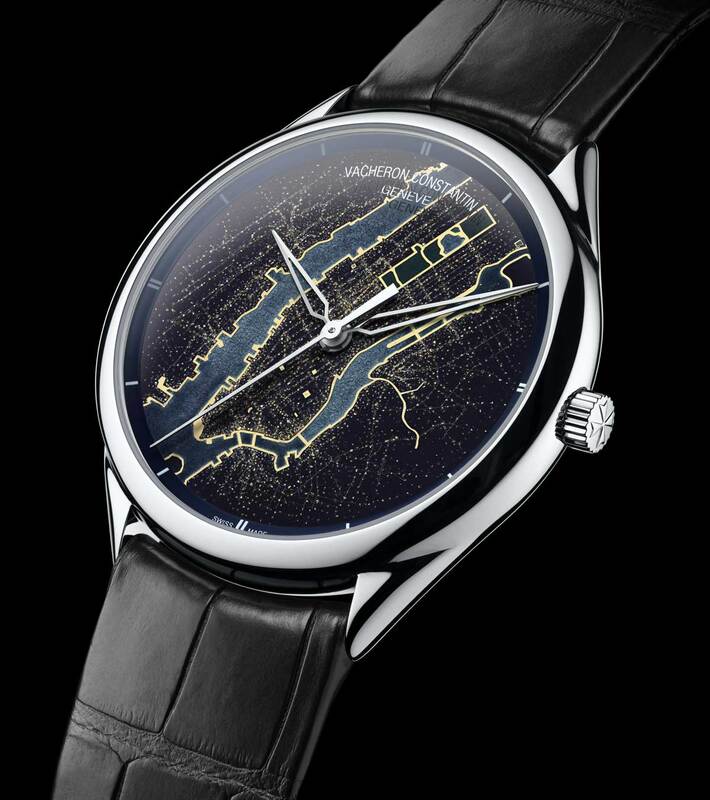 The first three models in this new collection are dedicated to Geneva, Paris and New York but other cities will follow.